It’s been an eon since I last posted. I am ridiculously busy in the depths of study at the moment. I’ve been finding time to indulge in my love of cooking once a week but haven’t had time to blog unfortunately so I’ll do my best to trawl these winter recipes out of my memory banks. Now I’m never very specific when mixing a sauce for basting a roast. Basically I threw some olive oil, crushed garlic, finely chopped rosemary, honey and dijon mustard into a bowl and tasted it to make sure the honey/mustard balance was to my liking. Then I thoroughly coated the lamb racks and sat in a roasting tray for about half an hour for the flavours to adhere to the meat. 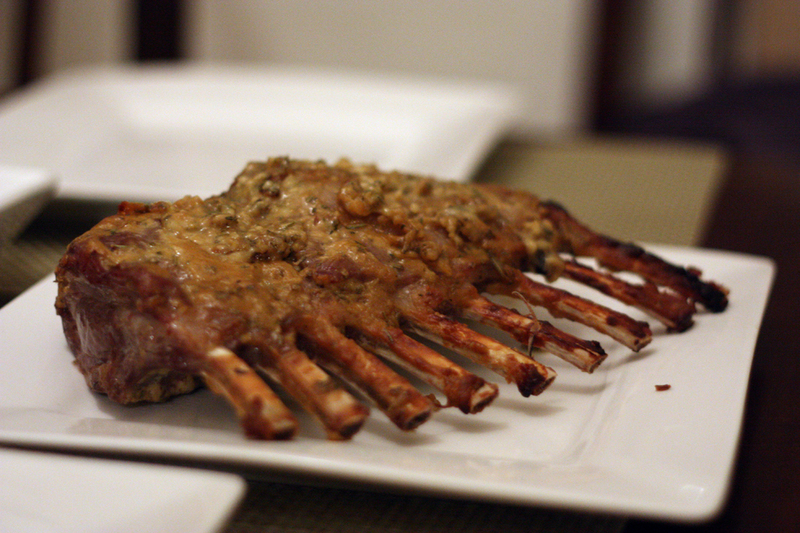 Then I popped it in the oven on 190ºC for about 1/2 an hour to 40 minutes (depending on the number of lamb racks and how well done you want them – we like ours fairly rare). Prior to putting this on I put the potatoes and carrots in the oven on about 200ºC for about 20 minutes with the smoked garlic salt sprinkled over the top, then continue to cook on a separate shelf in the oven while the lamb is roasting. They should be done around the same time. Just near the end I sauteed the leeks in a frying pan with some butter, lemon flavoured olive oil and balsamic. 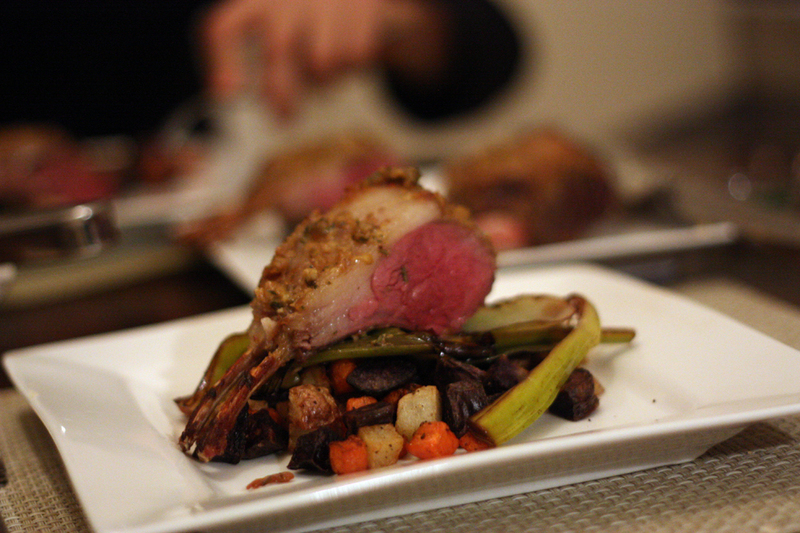 Serve the potatoes topped with the leeks topped with the lamb rack and any basting juices left in the pan.